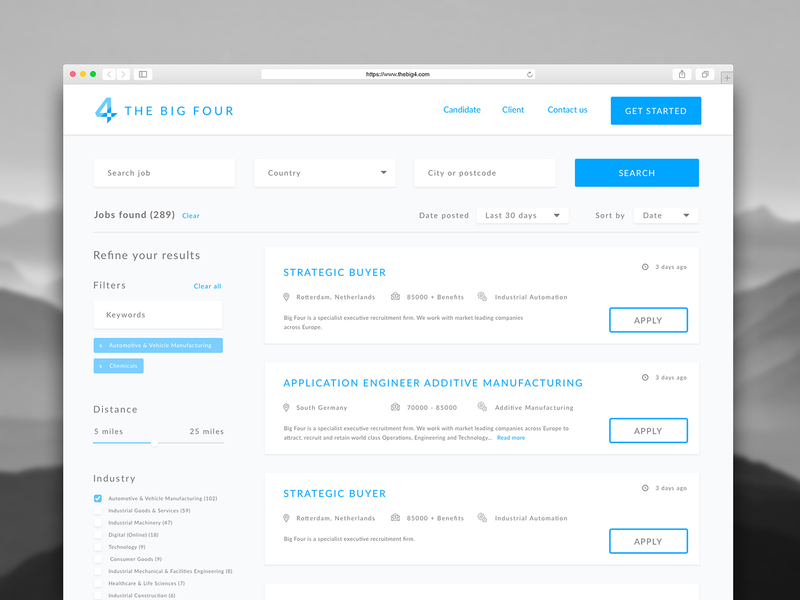 The Big Four – A leading recruitment company which combines a unique sourcing approach with unrivalled finance expertise to offer clients the best talent in the market. 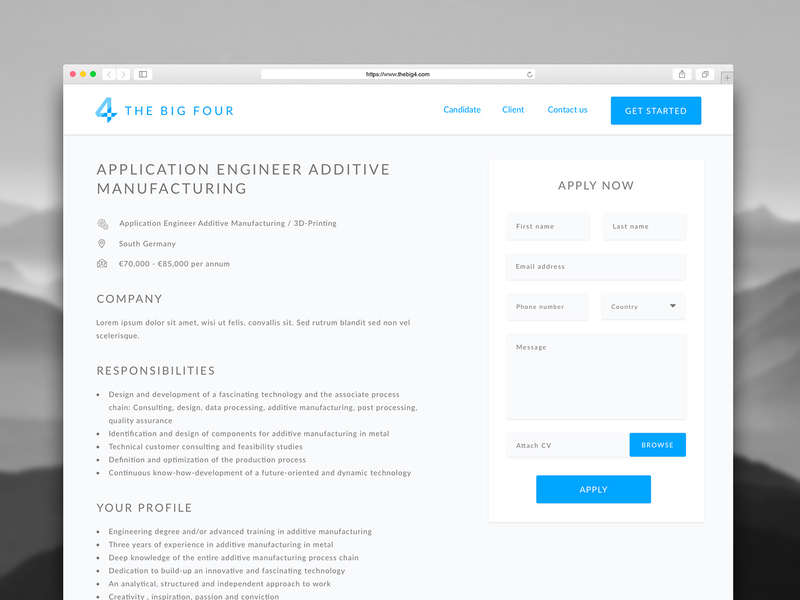 To design the interface for a job board on The Big Four’s website. 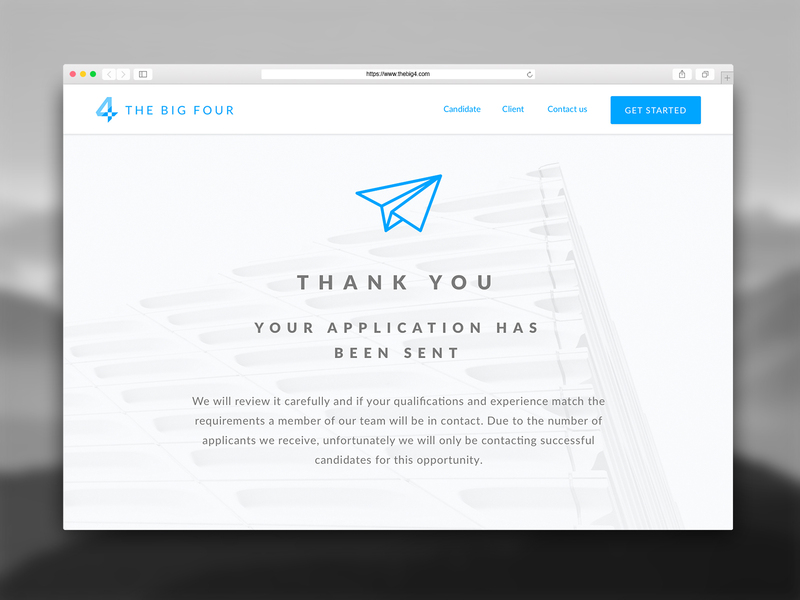 The aim of this project was to create a way for candidates to easily search and apply for potential job opportunities: and subsequently for The Big Four to grow their candidate database.